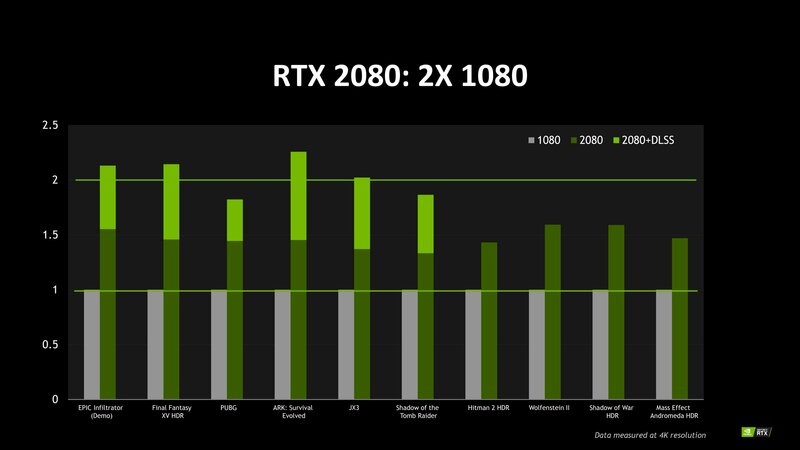 NVIDIA listened and released a relative performance comparison of their new Turing-based GeForce RTX 2080. 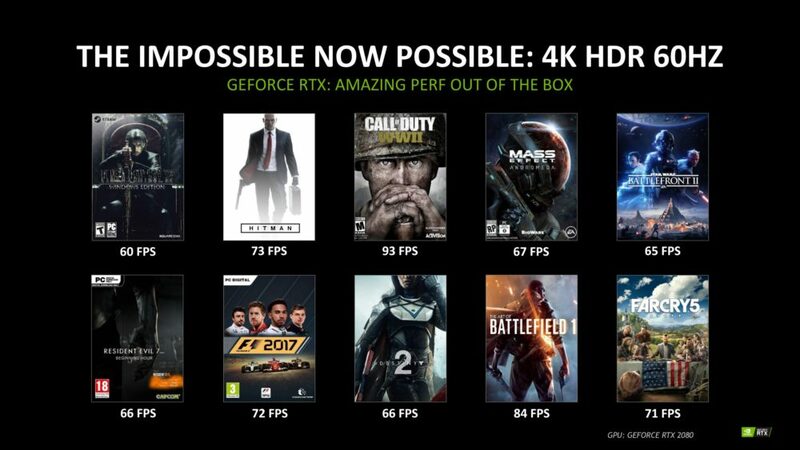 In a wake of a controversial public demos at Gamescom, which were showing relatively poor performance with RTX enabled, NVIDIA decided to cut all speculation and confirm officially that the upcoming series will be 40-50% faster in selected titles. Additionally, with DLSS enabled (Deep Learning Super Sampling), some supported games will offer even better performance thanks to new antialiasing technology.